HSBC says silver is looking better due to greater demand from jewelers, increased silver coin purchases, bullish investor demand for hard assets and growing need due to industrial applications. James Steel, an analyst at HSBC who wrote the research note, lifted his prices for silver from $32/oz to $33/oz in 2013. In 2014 he sees silver at $31/oz instead of his earlier forecast of $28/oz. Economic uncertainty will boost the shiny metal. "While silver will be subject to many influences, we believe ongoing accommodative global monetary policies will be the single most important factor in ushering in higher prices," said Steel. Spot silver reached a high of $35.41 in the early part of 2012. It is currently trading at a bid price of $30.84/oz. 2012 silver chart from Kitco. 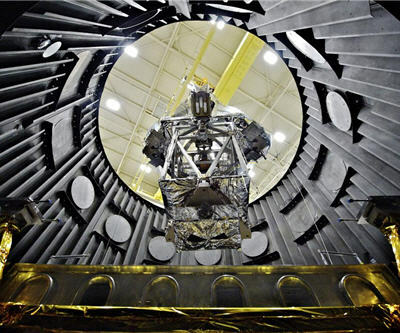 Image of James Webb Space Telescope wrapped in a silver blanket by NASA.